Stanley Chia, MD, FACS, is the chairman of the Department of Otolaryngology, and is associate professor of Otolaryngology at MedStar Georgetown University Hospital. He is also a highly skilled otolaryngologist at the MedStar Pituitary Center. 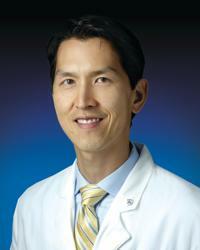 As an otolaryngologist, Dr. Chia evaluates and treats disorders of the ear, nose and throat. Dr. Chia provides patients the personalized, comprehensive care they need. He knows patients may have questions about their condition and the best treatment options. Dr. Chia is dedicated to working with patients to answer these questions and determine the best approach for their care. Following undergraduate training at Penn State University, Dr. Chia obtained his medical degree at the University of Pennsylvania. He completed a general surgery internship and residency training in otolaryngology at the University of California, San Diego. Dr. Chia is board certified in otolaryngology. Dr. Chia has been recognized numerous times as a "Top Doctor" by Washingtonian magazine and Castle Connolly, and has received awards for his teaching and research efforts. His areas of clinical interest include transoral robotic surgery (TORS), sinus and nasal disorders, surgical correction of obstructive sleep apnea, head and neck cancer, salivary gland abnormalities, and thyroid and parathyroid disease.